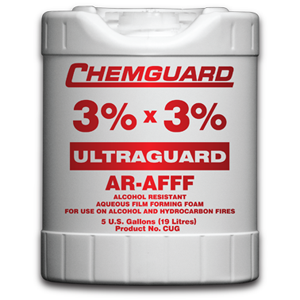 Chemguard Ultraguard 3% AR-AFFF is a specially formulated, aqueous film forming free flowing viscous foam concentrates. It forms a vapor suppressing aqueous film on hydrocarbon type fuels or a polymeric membrane on polar solvent/water miscible type fuels. Chemguard Ultraguard 3% AR-AFFF is a specially formulated, aqueous film forming free flowing viscous foam concentrates. It forms a vapor suppressing aqueous film on hydrocarbon type fuels or a polymeric membrane on polar solvent/water miscible type fuels. Ultraguard 3% AR-AFFF is intended for use at a proportioning rate of 3% (3 parts CUG concentrate to 97 parts water) on hydrocarbon fuels such as gasoline, kerosene, diesel, etc., and on polar solvent/water miscible fuels such as alcohols, ketones, esters, etc. Suitable for use with fiberglass, polyethylene or stainless steel. Ultraguard 3% AR-AFFF is not compatible with galvanized pipe or fittings in an undiluted form. Cannot be used in sub-surface applications with polar solvent type fuels. Aspirating type discharge devices typically generate expansion ratios between 6-10 to 1 when 3% AR-AFFF is mixed with water at the correct ratio. Non-aspirating type devices will typically generate expansion ratios of between 2-4 to 1. 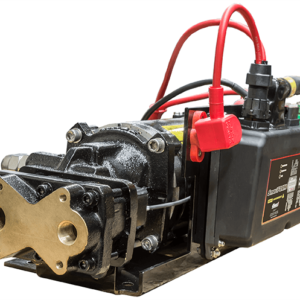 Expansion ratios are dictated by the type of discharge device, flow rate and discharge pressure. 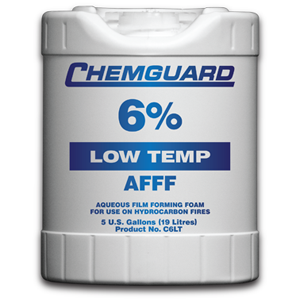 Chemguard 3% AR-AFFF is biodegradable, low in toxicity and can be treated in sewage treatment plants. 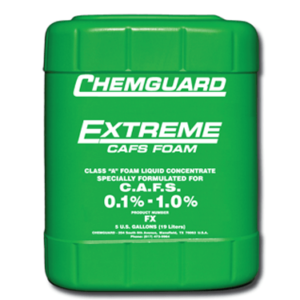 Please refer to Chemguard Technical Bulletin regarding foam products and the environment. If kept in the original unopened and airtight Chemguard supplied container and stored within the temperature range of 35ºF-120ºF(2ºC-49ºC), a shelf life of between 20-25 years can be expected. If the AR-AFFF is to be stored in an atmospheric type foam concentrate storage tank whether on mobile apparatus or stationary, limit the airspace above the surface of the concentrate whenever possible and place a thin layer of quality mineral oil on the surface of the foam concentrate to minimize any effect from evaporation. CUGP 5-Gallon Pail / 19 Liters 45 lbs. CUGD 55-Gallon Drum / 208 Liters 495 lbs. CUGBD 330-Gallon Tote / 1249 Liters 3000 lbs.